Hi lovelies! 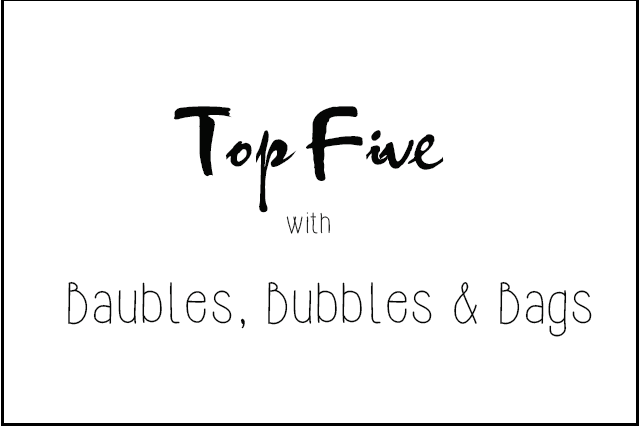 Here is another Top Five and this time it's with the lovely Norlin of Baubles, Bubbles & Bags! I was introduced to lovely Ms. Norlin online by our common friend - Feli of My Life in Mono. It was such a pleasure. 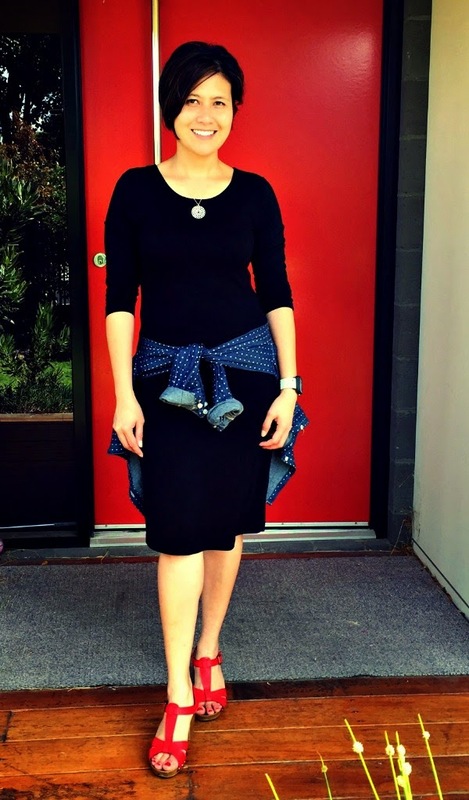 I started reading her blog and it felt like I've known her as long as I've known Ms Feli! isn't that cray? Ms Norlin's blog is beautiful, informative and not to mention addictive. Her OOTDs makes me want to raid her closet albeit our taste in clothes are so similar one can say my closet is her closet. The food she posts makes me want to move to Victoria and be her neighbour. She's so down to earth and hilarious. She's also very active, like running active. She's a super-mum I tell you! In so many ways, I admire Ms Norlin. The way she looks after herself, her body and her family emanates some kind of calm and assurance that I will get there one day. Question 1: Who is your makeup hero? Why? Well, my one makeup "hero" would have to be Wayne Goss, just because he gives such practical tips on how to do your makeup right! And they're easy to follow too - especially for a n00b like me! Question 2: Share your Top 5 (or less) cringe worthy makeup faux pas you've committed in your early makeup days. - The reverse panda: Applying concealer that was way lighter than my skin tone to conceal my under eye area. - Testing foundation on the back of my hand, which meant the tone really didn't suit my skin tone. - Wearing blue eyeliner ONLY on the lower eye line (I was 14!). Having said that, I thought it did look good at the time, bringing out my dark brown eyes. I guess the colour was right, just should have applied on the top lid too. - Wearing frosty pink lipstick. No, it wasn't in the 80s but truth be told, it WAS my mum's! Question 3: Top 5 Makeup Items you bought on a whim and turned out to be amazing! Question 4: If you were given a chance to collaborate with a makeup brand, who will it be and why? Urban Decay! I think they've got a pretty amazing range that works rather well. And just to close our very informal interview - if you were to ask to give up every single makeup item except for 1 - what will you keep? Darn! That really is a hard one! Ok, I would have to say mascara. I cannot live without wearing mascara. If you haven't already, please visit Ms Norlin's blog - Link! She also updates her Instagram regularly - Link! and between you and I, you know I am all about Instagram. ps. when I grow up, I want to be like her! hehehe We're probably same age but whatevs. Hope you enjoy this post as much as I did!